The rich and deep colors and patterns found in Mirelle appealed to me most when I made this mobile. I loved the combo of sophisticated colors and patterns that reminded me of funky fabrics. I couldn't pick just a few of the patterned papers from this collection to use, so I used all of them. What's fun about the flowing circles, is watching them slowly sway and spin back and forth in the breeze. For the structure of the mobile I wanted to incorporate beads and textured ribbon trim commonly found in Bohemian design. 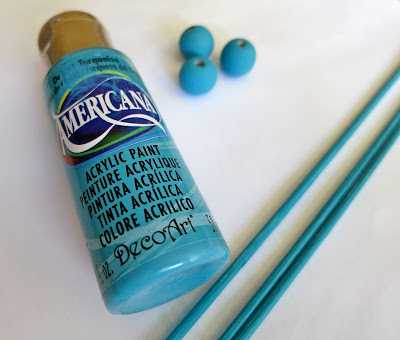 I pulled the vibrant turquoise found in the Mirelle and used it as the base color of the mobile. I used rich purple ribbon trim to attach the paper garland strands. 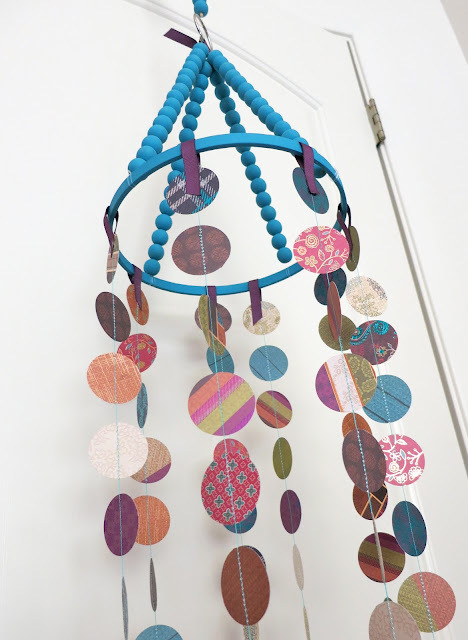 This mobile is so easy to make. All you'll need is patterned paper from the Mirelle collection, a 10" embroidery hoop, a wooden dowel, acrylic paint, ribbon trim, wooden beads, clear jewelry wire, a jump ring and circle punch. 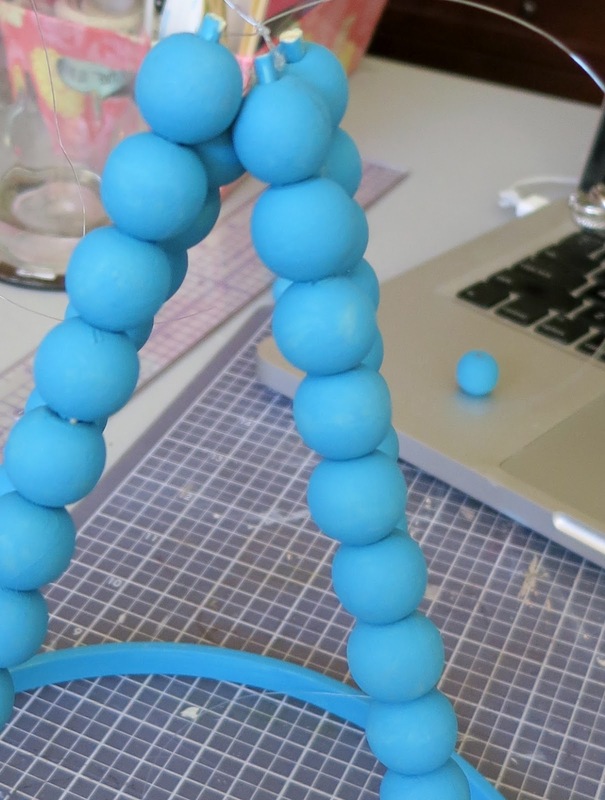 Trim your dowel into 4 5" pieces. Paint dowels and beads and let dry. 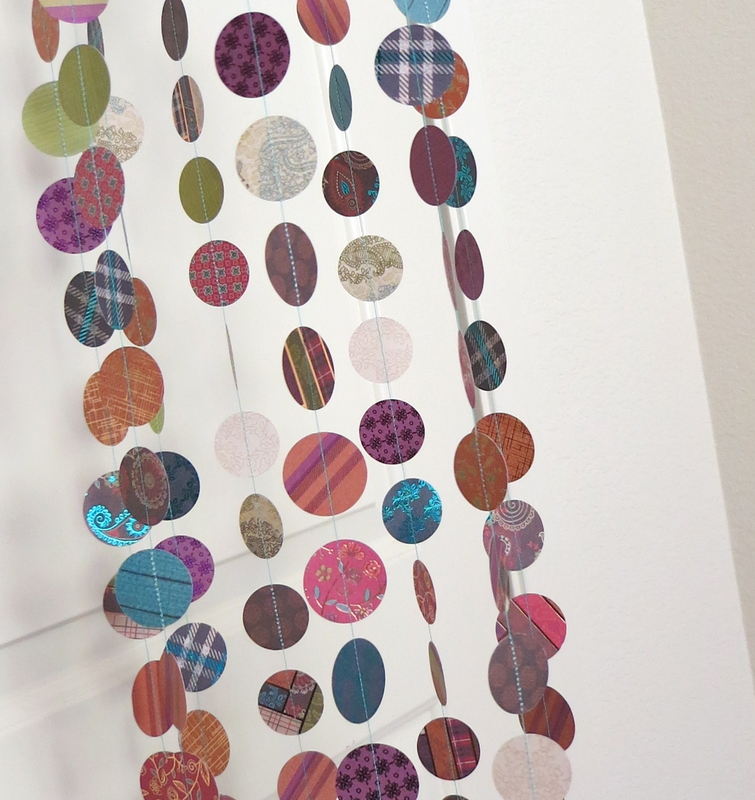 Punch circles from patterned paper. I punched 16 circles from each patterned paper in the Mirelle collection. 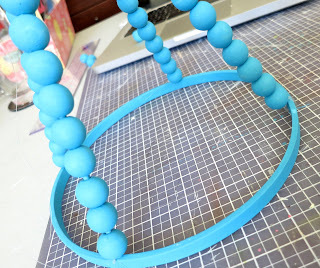 Stitch the circles into a garland. 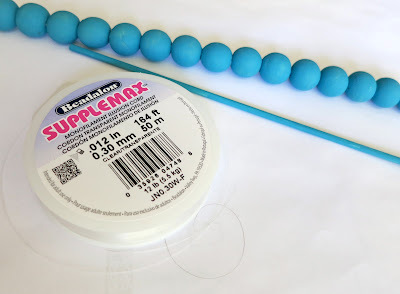 Pull jewelry wire from spool and line it up parallel to dowel with at least 3". Thread 14 beads through wire and dowel. Repeat for the remaining three dowels. 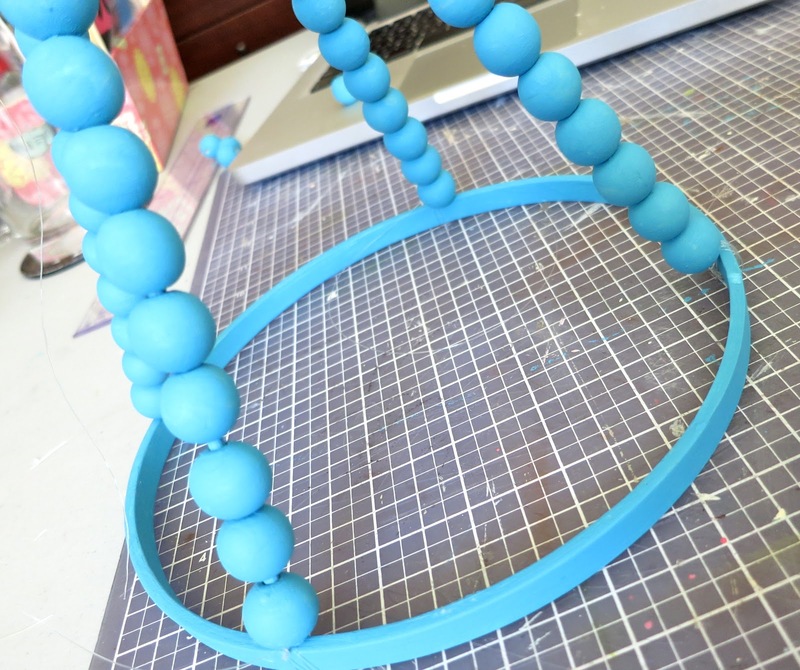 Attach one side of the beaded dowels equal distance apart by tying the excess jewelry wire around the hoop. Knot together the remaining excess jewelry wire from the other ends of the beaded dowels together. Adhere the dowels to a jump ring. 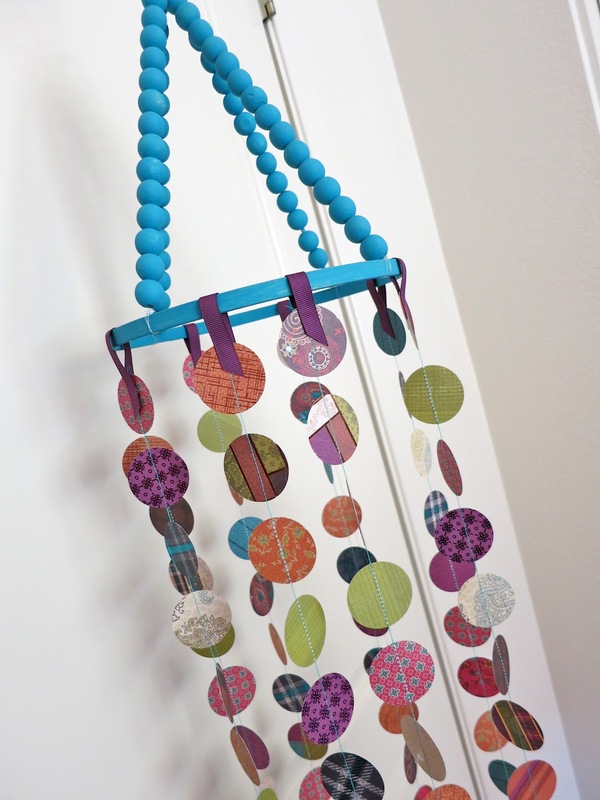 You could use this mobile to decorate a space or even hang it above a baby's crib. I'm going to hang it in my classroom! 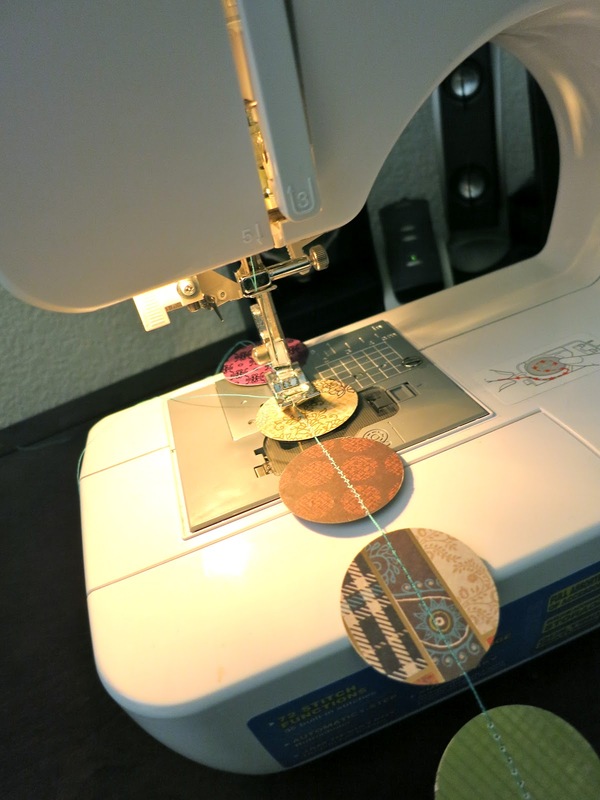 Hope that you're inspired to make something bohemian-styled with the Mirelle collection! Wowza! This is a gorgeous project. Love how you made this!!! BEAUTIFUL! I was just going to make something similar the other day--I should just ask you to do it for me! I'm sure it would turn out better:) LOL!